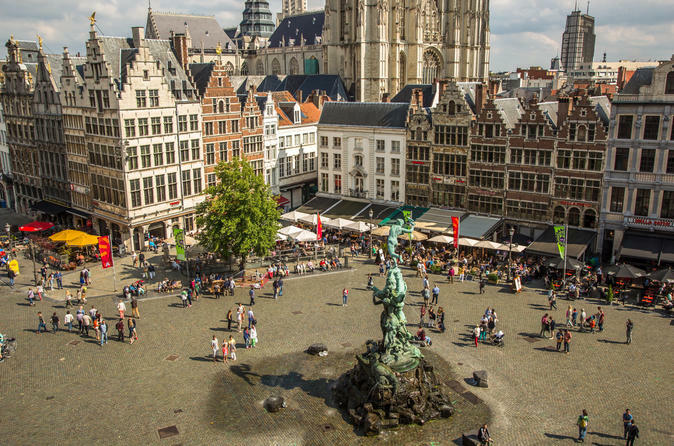 Start your trip in Antwerp with this highlights tour with your private guide Etienne. During the tour you will get to see the best architecture buildings, local street and hear interesting answers to some peculiar questions. Start your tour at the Grand Market Place, following a stop here you will get to discover in mini-alleys where you get to escape the crowds and take in relaxing vibe of this beautiful city. You'll also get to enjoy the water as you'll be visiting the riverside and the castle in Antwerp. Here is a great opportunity for you to compare new architecture with old architecture and neo-architecture. Your host will let in to little secrets of the city and give you the answers to some interesting questions, such as: where were they hiding the poor people in the earlier days? If you want to see Antwerp in a nutshell, this is the tour for you. Let your guide Etienne know if you want to see anything in particular, he'll be happy to create a personalized tour for you. About Etienne: Is passionate about his city as been a city guide for 3 years. A keen basketball coach among many other hobbies.